Since it's highly likely that I will be going to see "The Dark Knight Rises" at some point this weekend, I'm preparing myself for the experience with a marathon rewatching of all the previous Batman movies. I must admit that if the TV series was available on DVD, I'd rather watch that again than any of the Christopher Nolan abominations. 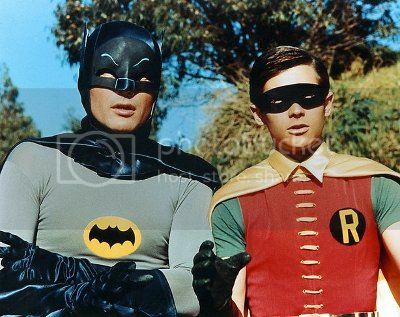 Blame it on my age, but I really used to enjoy Adam West's and Burt Ward's escapades when they were repeated for Saturday morning kids' TV in the '70s. I had the Mego action figures and the Corgi Batmobile which I thought were great. We all had them even though none of us had ever read a Batman comic, had never heard of DC, and were destined to forget all about the caped crusader once "The Six Million Dollar Man", "Starsky and Hutch" or even "Monkey" came along. Yes, kids are fickle and I changed what I was into more often than my underpants. 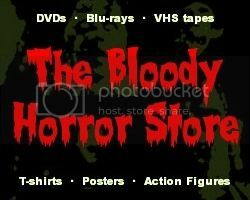 I could probably list another hundred TV shows which caught our imaginations and almost forced some parents into bankruptcy with the merchandising. As an adult who occasionally suffers from bouts of nostalgia, I remember the theme tune and opening titles of the "Batman" TV show more than any of the episodes. As you can see from the YouTube video above, it was pretty much a series of cartoon graphics with a couple of poorly animated moments and which promised more of the same. I don't think there was ever a child on the planet who wasn't a little bit disappointed by the live action which followed. Having said that, Adam West will always be my Batman. I more than disliked Robin, I really hated him, and, to be completely honest, there were several times when I hoped that the villains would get the better of the pair of them. The villains were always far more interesting than the heroes. Unfortunately, apart from watching episodes on YouTube, the 1966 movie version of the TV series is the only DVD available. There have always been a lot of arguments going on behind the scenes as to who owns the rights to what so I highly doubt that the complete series will ever appear on DVD now. Even though I've always felt that the movie was overlong and a little bit dull compared to the individual episodes, at least it combined the talents of the four best supervillains: The Joker (Cesar Romero), The Penguin (Burgess Meredith), The Riddler (Frank Gorshin) and, of course, The Catwoman (Lee Meriwether). I haven't watched it for so many years that I'm quite looking forward to seeing it again. I'll be back later with a proper review.